It's easy to fall for an Aston Martin. They've been inherently cool ever since Ian Fleming put a certain suave British spy in a DB Mark III in his first book, which, in turn, led to that spy driving a DB5 when he appeared on screen in 1963. Like most things that first became cool in the '60s, Aston Martin has had its ups and downs, but has soldiered on because of its ties to the era in which cool was born. Aston essentially gets a free pass for life. When the international jetset lifestyle was just being defined, understood, and packaged by advertisers, Aston was there. So it makes sense for a man like James Bond to drive one. We don't think of it so much as product placement as we do a forgone conclusion. Of course he would drive an Aston Martin, he's a man of style and substance, but he's got a dangerous side too. That same combination that made Aston Martin vehicles appealing back then, continues to make them appealing now. 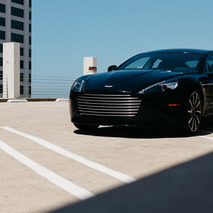 Take the 2016 Aston Martin Rapide S at face value, and what you have is a very expensive four-door vehicle that falls short in a number of areas. But this is not a vehicle meant for average buyers—it's a $228,000 coupe that has been stretched out and given two extra doors. 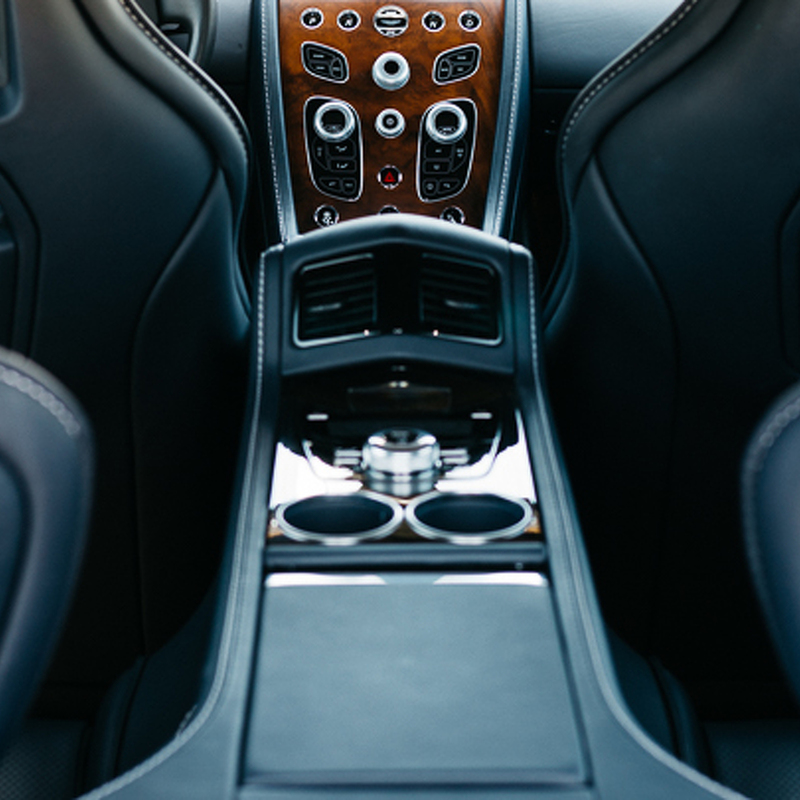 Thinking critically about the Rapide S doesn't make sense, and I dare say it's a waste of time; yes, the infotainment system is woefully outdated, and yes, the center console is an odd amalgam of buttons and knobs that don't feel as premium as they should. Guess what, though? You're not going to give a damn about any of that once you put pressure onto the accelerator. 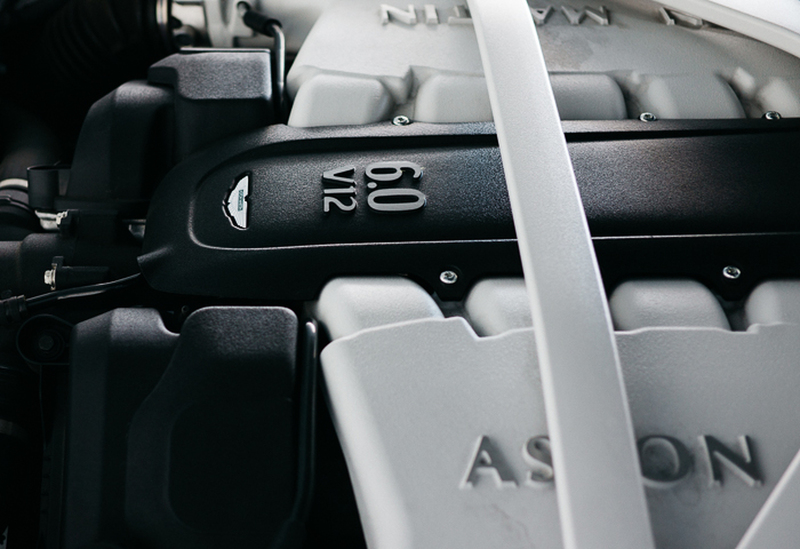 When you're at the helm of the Rapide S, you are the conductor of a 552-horsepower, 6.0-liter V12 symphony. You needn't concern yourself with such trivial things as fuel efficiency or the quality of window switches. All your attention is devoted to soaking in the auditory experience, which is nothing short of sublime. During my stint with the car, I found myself taking the long way home every time I ventured out. For a 4,387 pound car, it is eager to play, much of that due to the superb 8-speed gearbox. The ZF Touchtronic III unit rattles off shifts in 130 milliseconds, or as I like to say, unnoticeably quick. Left to its own devices, the car finds the right gear before you know you needed it, and when you're utilizing the paddle shifters, the gear changes happen just as fast, but with more drama. It's fun to watch the needles of the gauges swing in opposite directions as you approach speeds that are most definitely frowned upon by law enforcement. It's worth mentioning that the change from third to fourth at full throttle delivers what I can only describe as a sensation of great relief. When you turn this thing loose, you'll have an internal struggle about when to reign it in. 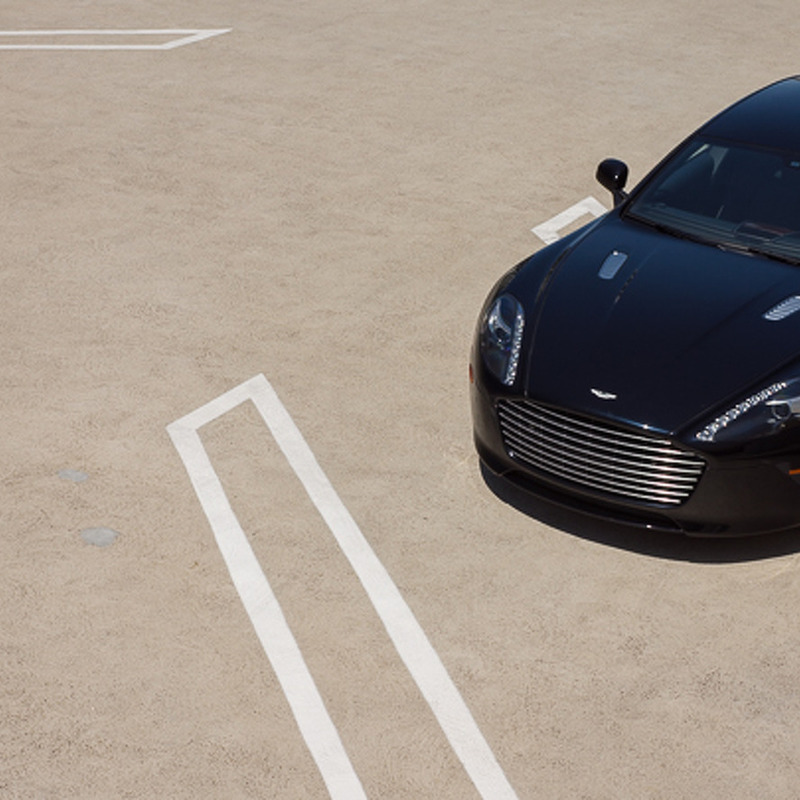 As much as I hate to use the cliche, the Rapide S does drive much smaller than it is. Make no mistake, it's not a razor sharp canyon carver, but I was pleasantly surprised by the chassis on a number of occasions. I repeatedly asked more of the car than what I would expect 90 percent of people who buy it do, and not once did it disappoint, or terrify me. 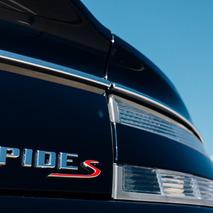 Every moment of spirited driving was enjoyable, which I attribute to the fact that the Rapide S seems to encourage it. This is a car that begs to be driven because it gets under your skin, it makes you feel something, and that's increasingly rare in today's marketplace. 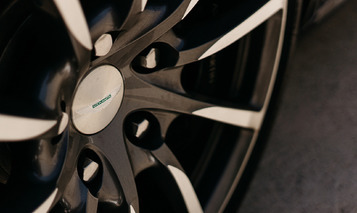 Of course, a car like the Rapide S can't be driven near its limit at all times. So it must posses some redeeming qualities other than a sonorous exhaust note, and engaging driving experience. 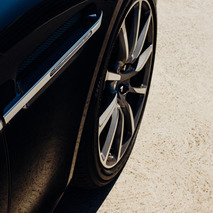 This is where the style and substance side of Aston Martin comes into play, and as you can see, designers and engineers have done a bang up job of making the Rapide S a rather pleasant place to be. They've taken great care to make even the most overlooked areas impressive, like having a diamond stitched Alcantra headliner, and white leather chain stitching throughout the interior—even in the cupholders. The seats are not the most comfortable I've ever been in, but they're still a sight better than the majority of what's out there. 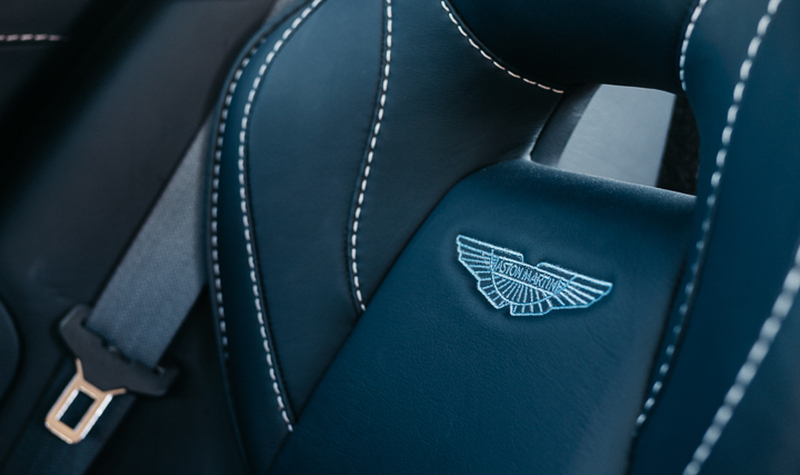 The quality of the leather used throughout the cabin is top notch. 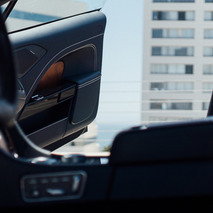 As that same leather is used to cover nearly every surface in the vehicle, the cabin retains a pleasant aroma, even after 9,000 journalist miles. Smell being the strongest memory trigger of all the senses, every time I opened the door, it instantly reminded me of a tannery. And from now on, I'll think of the Rapide S as well. 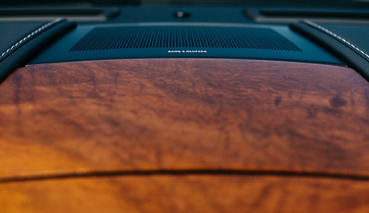 When you're unable to make sweet music with your right foot, you can crank up the bespoke Bang & Olufsen sound system. 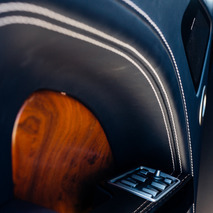 I'm highly skeptical of luxury car audio systems, simply due to the fact that all too often an automaker simply tosses in a powerful setup with some branding and calls it a day. 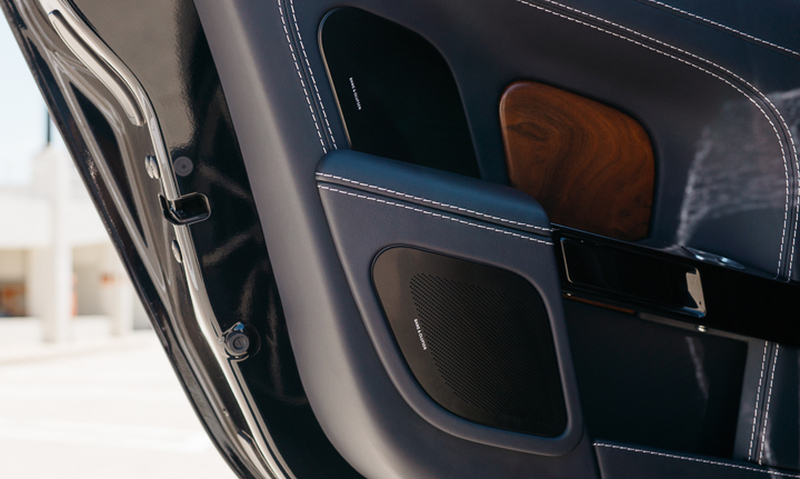 Fortunately, this isn't the case with the B&O system found in the Rapide S. The system was tailored specifically to the interior dimensions of the car, and engineered to be equally as engaging for rear seat occupants as it is for those riding up front. I put that to the test by sitting in each seat, then listening to the same song. Sure enough, the listening experience is consistently phenomenal. As you'll find in this playlist inspired by the car, I listened to a wide variety of genres, and all of them came through with equal clarity, even over Bluetooth. I guess that's what happens when you have 15 fully-active speakers each getting a dedicated channel from a BeoCore amp, and 1,000 watts of total system power. The only downside to this system is that it's capable of overshadowing the exhaust note. More than a few times I found myself flying down the road listening to stereo system when I could have been listening to mechanical music. It then became a constant struggle to decide which was more appealing. I dream about the sound of the exhaust bouncing off tunnel walls at wide open throttle, but I crave the punch delivered by the Bang & Olufsen system on songs like Panic Station by Muse. Champagne problems indeed. As my time with the Rapide S drew to a close, I couldn't help but feel like I had only begun to scratch the surface of what makes it special. I had gone into my period of custodianship with the intention of not letting the fact that this is an Aston Martin effect how I viewed the car. What a painfully naive way of thinking that proved to be. All it took was one day for me to come 'round to why a person would want a Rapide S. The rest of my time with the car was mostly spent trying to figure out where this thing slots into the current marketplace, and where it fits in culturally. The former is easier to answer since a pre-owned Rapide S can be picked up for less than $100,000, but the latter is still up for debate. Who buys a car can have as much, if not more impact on how it's perceived than who makes it, or even how it looks. For the most part, Aston Martin owners are discerning individuals with good taste, but there are exceptions, and I have a feeling most of them live here in Southern California. I mention this because of all the Aston Martin models, the Rapide S is the least 'enthusiast' oriented, but that doesn't mean that it isn't a car worthy of enthusiasm. It's a far cry from the keeper of the manual transmission flame, the V12 Vantage S, but I'll be damned if it doesn't have the same spirit.